The European Parliament has recently voted in favor of the emendation of the directive on packaging and packaging waste. The purpose of the legislation is to reduce plastic waste in the environment; it is estimated that in Europe, every year, 8 billion of plastic bags are discarded in the environment. 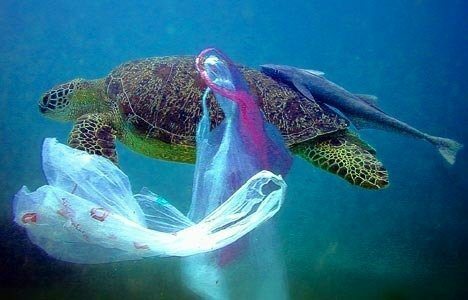 The dispersion of plastic bags have increased the problem of dispersed garbage in water, seas, rivers, streams, canals, threatening the aquatic ecosystem worldwide. There is another purpose in this Directive. The dispersion of plastic is caused by an inefficient use of the resources, as plastics derived from fossil raw materials. On the contrary, paper has exceptional environmental credentials, because it is biodegradable and recyclable. Furthermore, raw materials for paper production come from a renewable resource. Experts claim that paper production is sustainable. Therefore nowadays, without a new plastic, paper appears to be the best solution for a quality and sustainable packaging. Paper industry is sharpening the weapons against plastic, proposing new and more efficient processes. From our small observatory we notice a considerable increase in the use of paper, especially with thinner thickness. More square meters but less weight released into the environment. To put it simple, imagine to pack a product with paper and plastic. Discard the product and imagine it in the environment, once and without really meaning it. We give a toy to our children, we buy it and wrap it with a gift paper or with a nice plastic bag. We are on the beach, it is windy and we cannot collect the wrapping, which flies away and goes somewhere but… or stuck in a Mediterranean bush or in the sea. This paper, after a month of rain, wind and sun, disappears and the cellulose in it goes into the earth. Plastic would stay there for centuries, if nobody picked it up and threw it in a trashcan suitable for recycling. Therefore, for the moment, PAPER and not PLASTIC.